14 th – 16 th June 2017, Orlando, Florida. Booth 2581. Videxio is a provider of cloud videoconferencing with plans and solutions to fit companies and organizations of all sizes, from start-ups to large enterprises. The Videxio service lets users seamlessly connect devices and video platforms through the cloud for videoconferencing on any device. 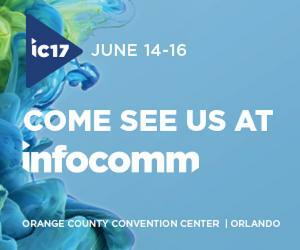 We will be showcasing our complete offering at Infocomm 2017 in Orlando from 14th – 16th June. And not only that – we’ll be using our Streaming and Recording feature, Videxio Live, to stream from the show floor to a range of providers. So don’t worry if you won’t make it to Infocomm this year – you’ll be able to follow us live and watch all the streams right here. Users in more than 190 countries and 12,000 cities across the globe can testify to the power of video powered by Videxio. To learn more about our offering visit us at Booth 2581 at Infocomm.